THE city government of Davao will question the lack of consultation over the Mindanao Railway Project of the Department of Public Works and Highways (DPWH) amid numerous complaints from affected homeowners. “This Mindanao Railway will hit a lot of subdivisions in my district, so we are just appealing to re-adjust ‘yung dadaanan ng train,” Davao City Councilor Danilo Dayanghirang said during the City Council session Tuesday, November 6. “The problem sometimes, the other departments do not consult us,” he said, underscoring that the City Council should be consulted because it is their job to secure the welfare of its citizens. Meanwhile, Dayanghirang said the City Council will meet with the Davao City Planning and Development Office, DPWH, National Economic and Development Authority (Neda) on November 28 to settle the matter and avoid any delay in the implementation of the project. “We want to fast track kasi the more na magka-problema, the more na ma-delay yung project so mas better na mas maaga, maayos agad ‘yung problema,” Dayanghirang said in a phone interview Wednesday, November 7. He also said he will have to ask the DPWH to hasten so as not to infuse more pressure on the urban settlers. It was earlier reported that Dayanghirang received reports from residents in Cabantian that the contractor of the railway project is forcing residents to sign a document of no objection. They also received complaints regarding issues on the acquisition of right-of-way. The DPWH, during the session on Tuesday, said they were willing to sit down with the city council to iron out the issues surrounding the railway project. 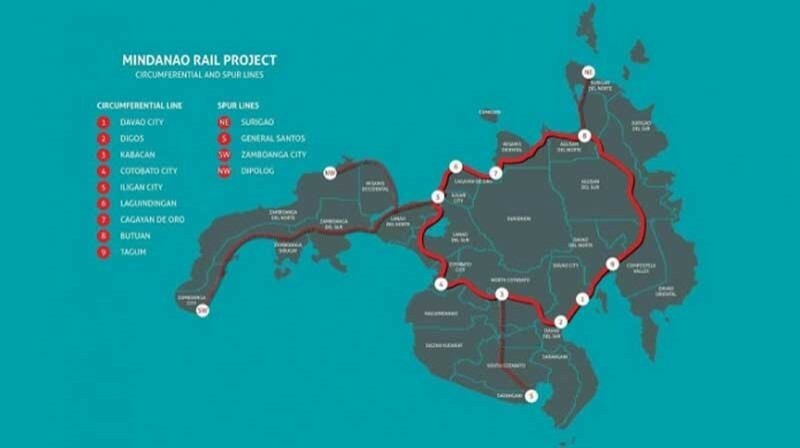 Phase 1 of the Mindanao Railway Project will cover the Tagum-Davao-Digos segment and is expected to finish within the term of President Rodrigo Duterte.